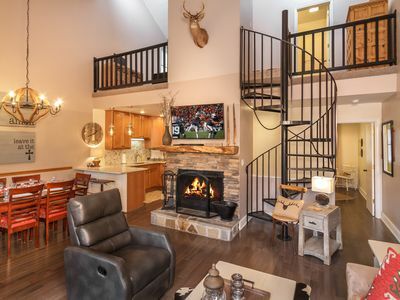 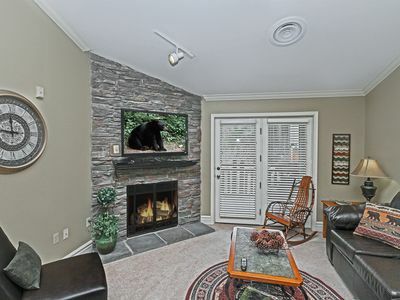 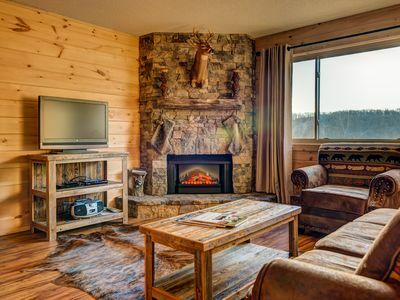 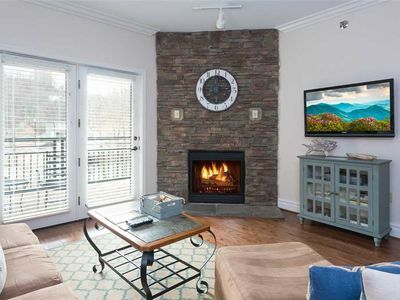 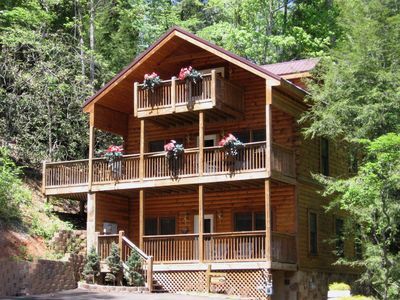 Bearadise is a cozy, yet modern, "pet friendly" chalet nestled among the trees with gorgeous mountain views. 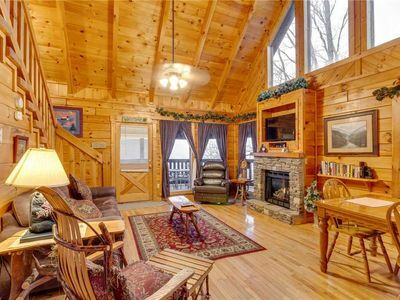 Nicely appointed with a whimsical bear theme, this chalet features a floor to ceiling stack-stone fireplace with wood burning insert, a 47" flat screen TV in the living room, high-speed WIFI throughout the chalet for all your internet needs or for “streaming,” washer and dryer, two king beds (one up and one on the main floor) & a queen size sleeper sofa in the loft; two full baths, a game room upstairs equipped with a foosball table, and X-Box 360 connected to a 32" flat screen for the kids. 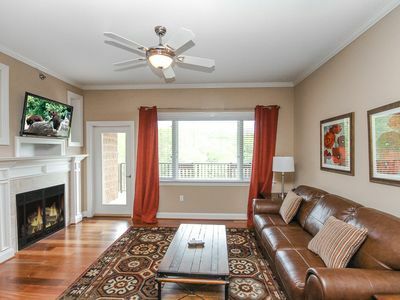 The kitchen is updated with solid surface counter tops, is fully equipped for meal preparation and includes a CD player/radio. 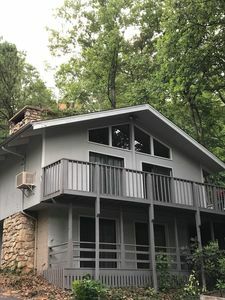 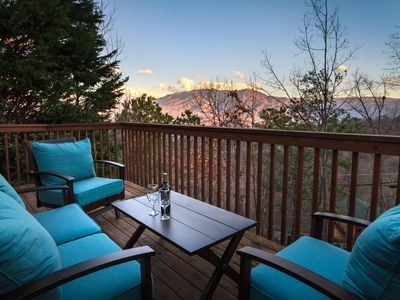 The large wrap-around deck has a gas grill and lots of seating for taking in the views. 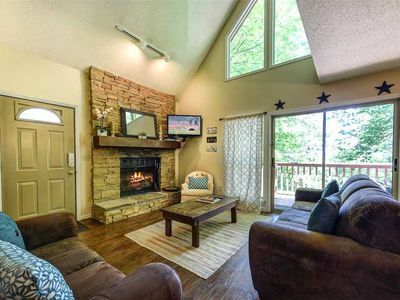 A wood burning fire pit built into the stack-stone wall on the deck is great for the cool nights or just for making s’mores. 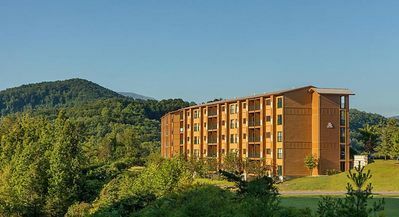 Short walk to the pool around the corner or drive to one of the other 2 pools. 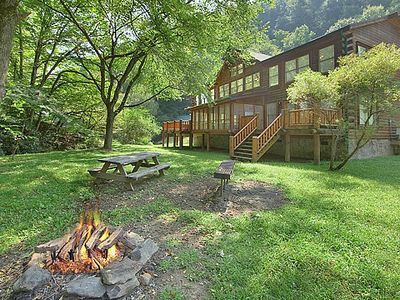 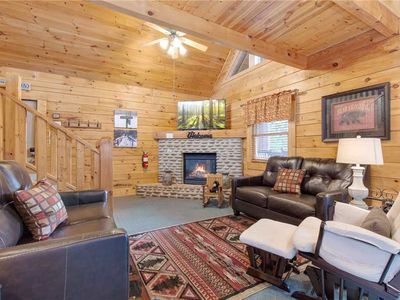 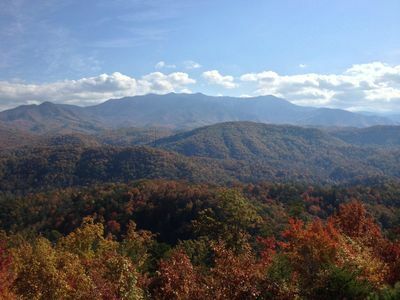 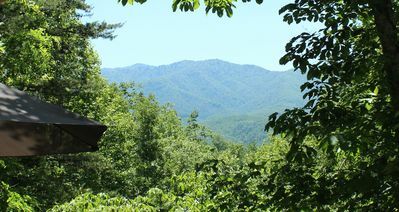 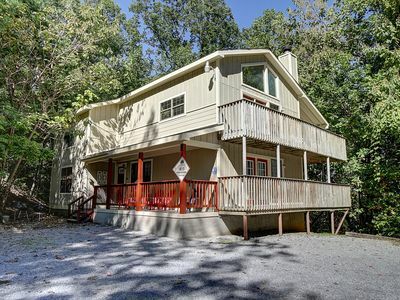 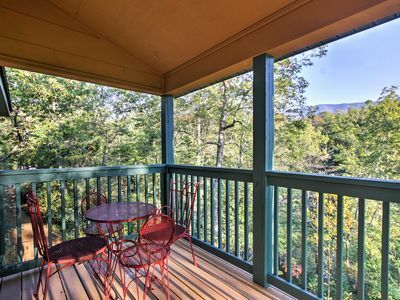 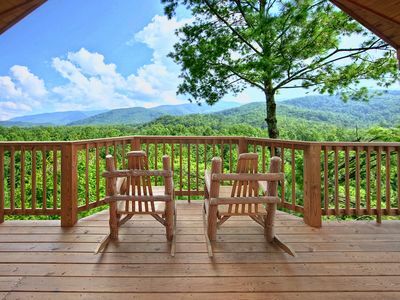 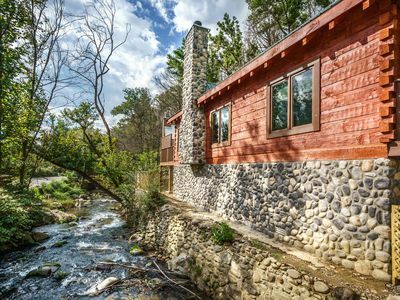 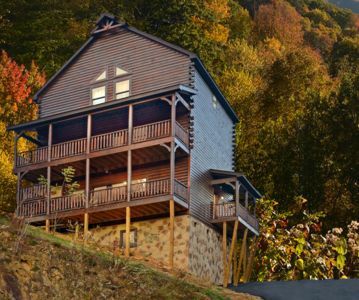 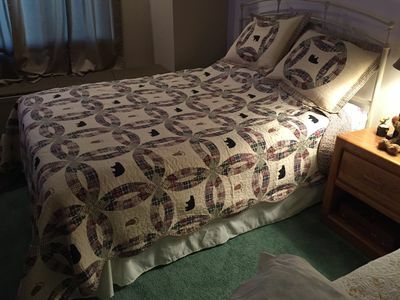 River Song - a Majestic New Log Cabin in the Heart of Gatlinburg!